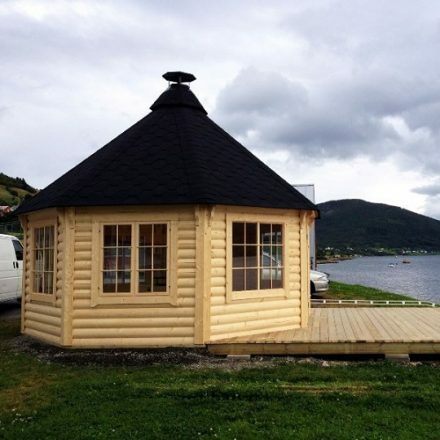 Two rooms inside: a sauna room and a changing room. 2 tempered glass windows in the back wall. 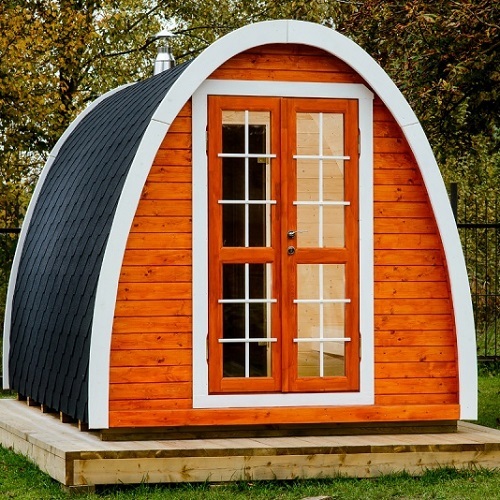 Double doors with a lock and the double glass windows. 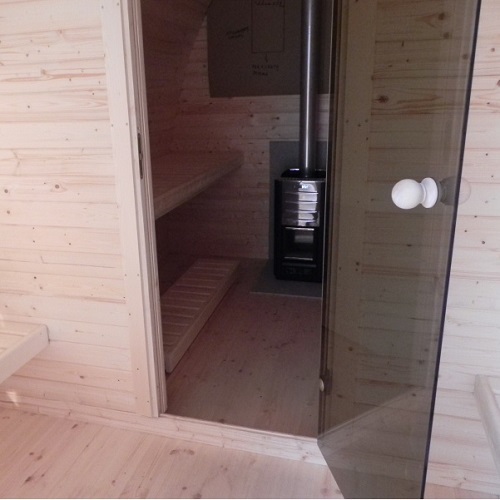 Inside glass doors between a sauna room and a changing room. 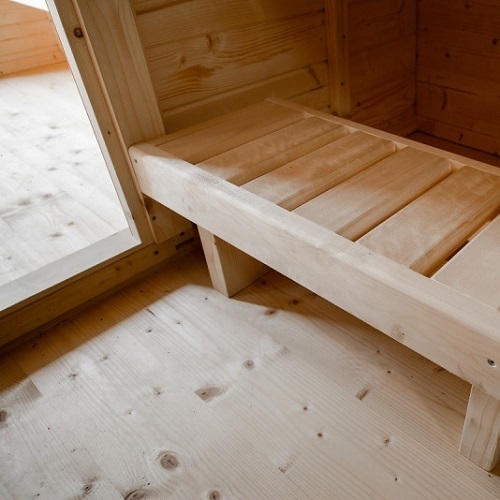 Sauna benches; Changing room benches. 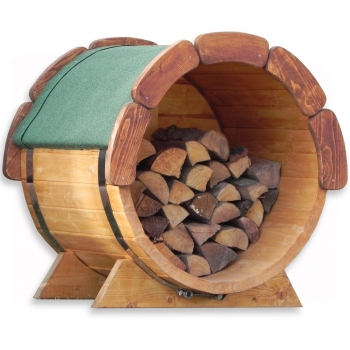 Sauna POD is a beautiful solution for the gardens with the „soft edges“. 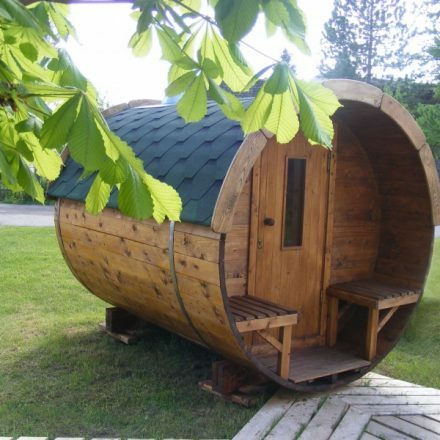 It looks nice and is different from the popular sauna cabins or sauna barrels. 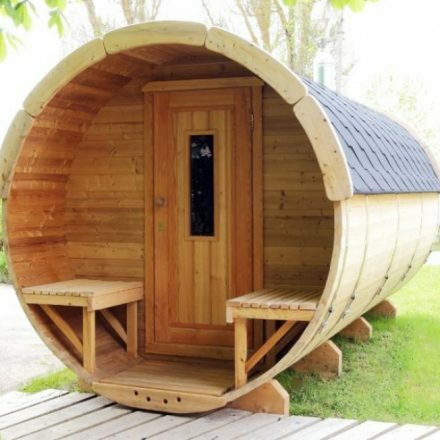 It can also be built next to the Camping POD and make your camping place look smooth and cozy. 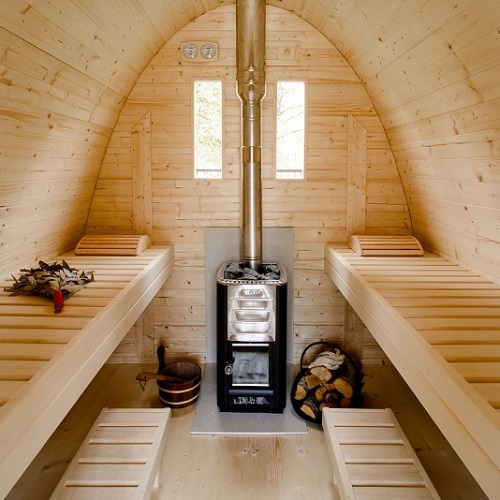 Sauna POD is divided into two zones: a relaxing room and a sauna room. 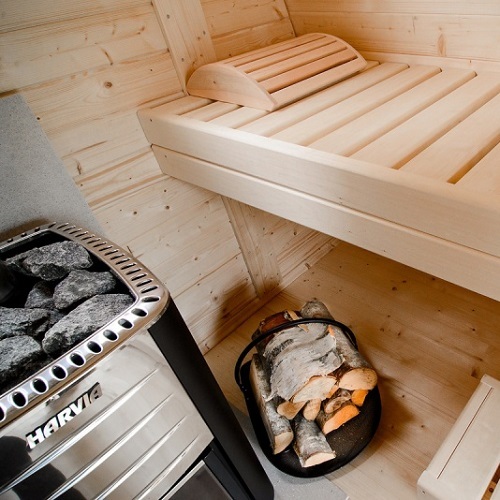 In the relaxing room you can not only cool down after the bathing, but also put some things there and change. 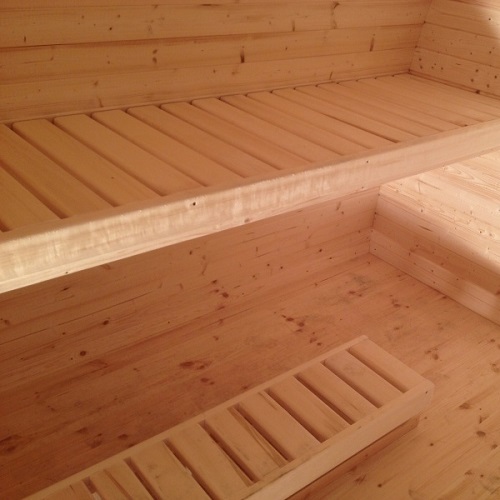 size of a KIT (L x W x H): 4 x 1.2 x 2.5 m. Weight: 1700 kg.